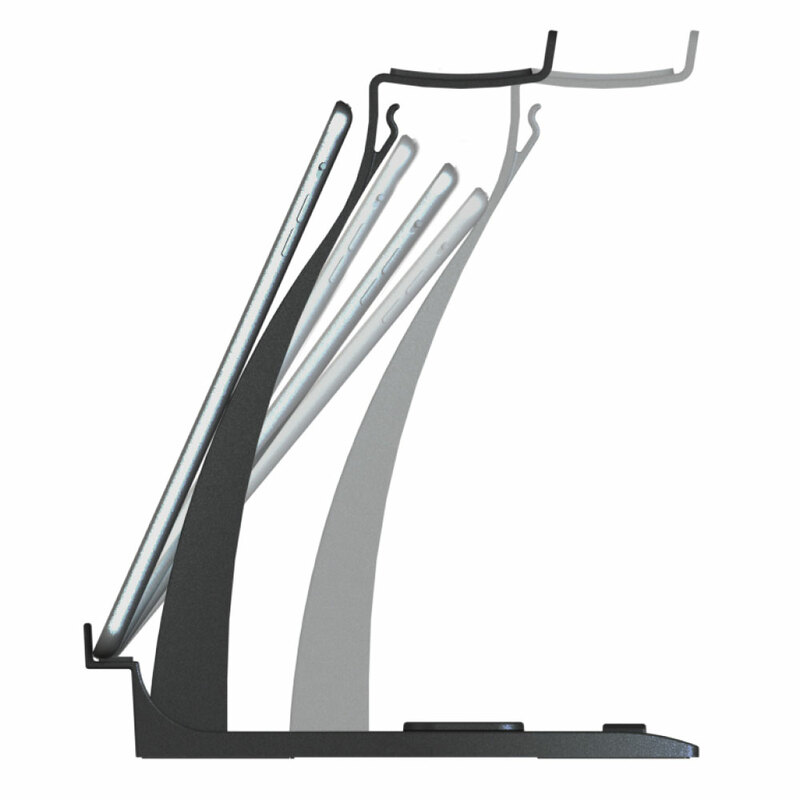 The Headset Hanger combines the need for a headphone stand and tablet stand into a single stylish solution. 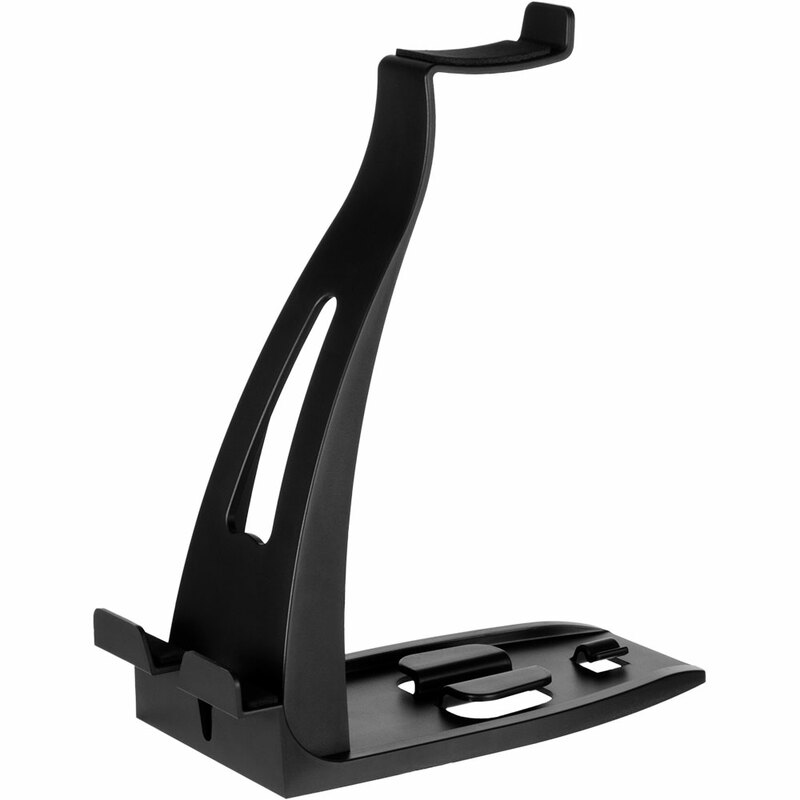 The Headset Hanger combines the need for a headphone stand and tablet stand into a single stylish solution. Organise your desk, table, or other workspace into a clutter-free zone with easy access to both your tablet/phone and headphones. 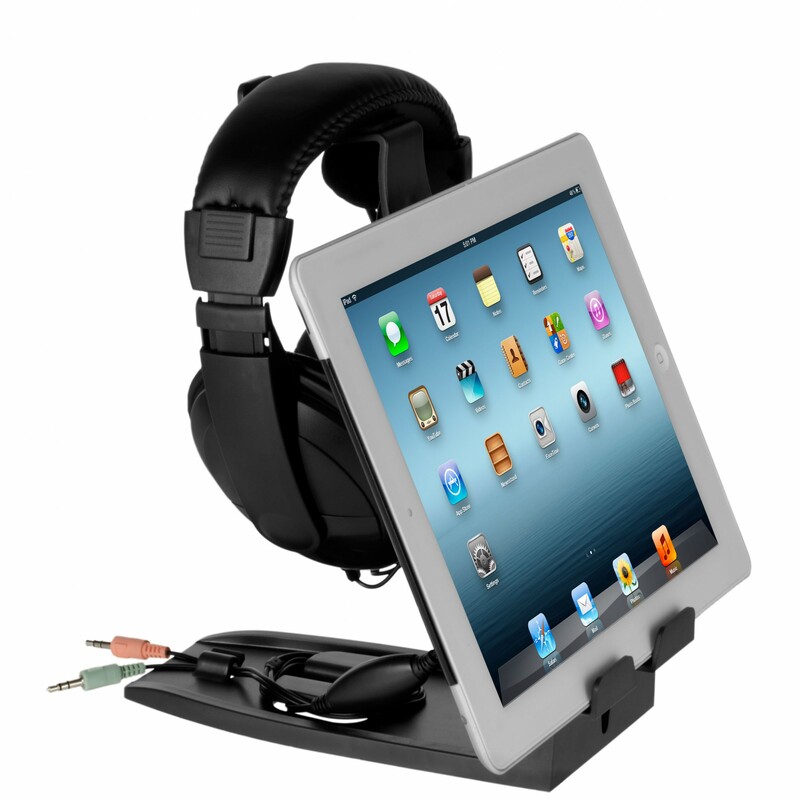 Designed to handle any brand of wired or wireless headsets and different size tablets and smartphones. 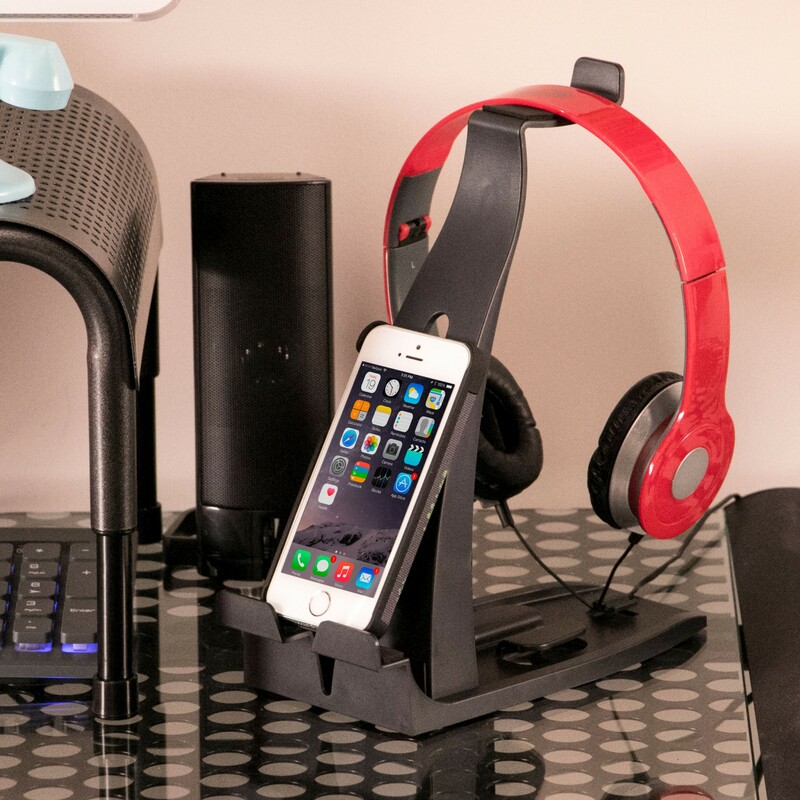 This innovative stand has options for routing your headphone cords or charger cables securely and discretely for a clean and organized desktop. The rear clip keeps cords out of the way while the cleat section allows you to loop or secure cords for ease of use. 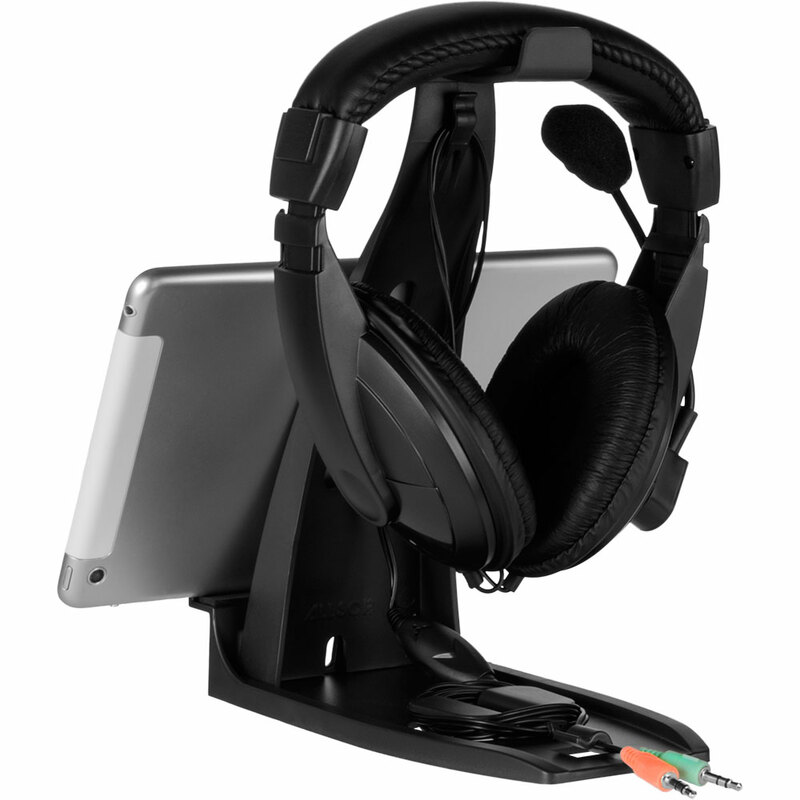 The Headset Hanger has four separate viewing angle options for your tablet/phone so you can avoid glare and find the most comfortable position. Simply squeeze the side tabs inward and reposition the stand. 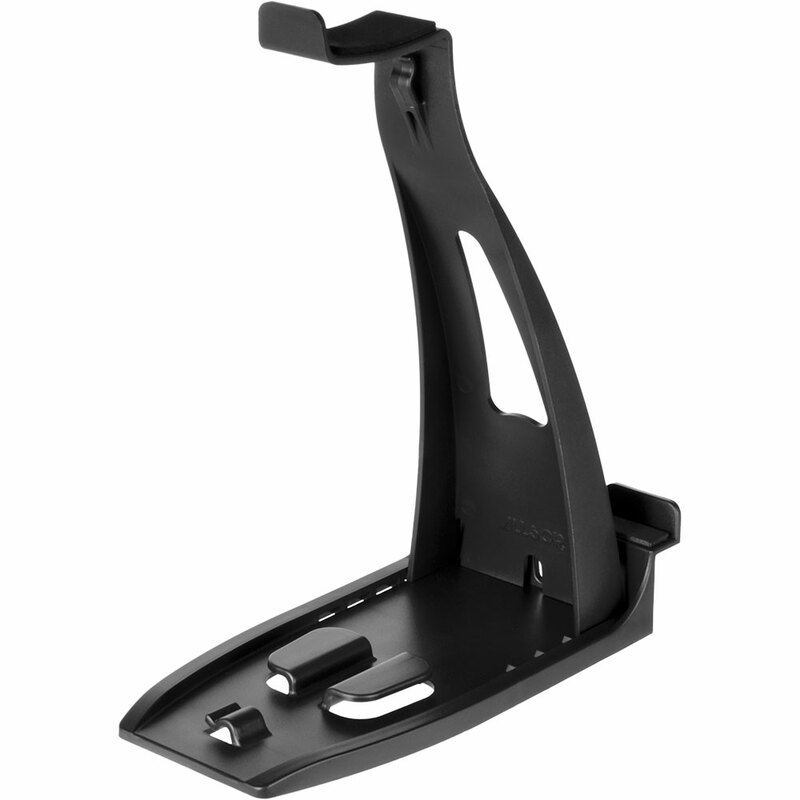 At less than 101 mm (4″) in width, the Headset Hanger doesn’t take up a lot of space while securely holding your items in place. 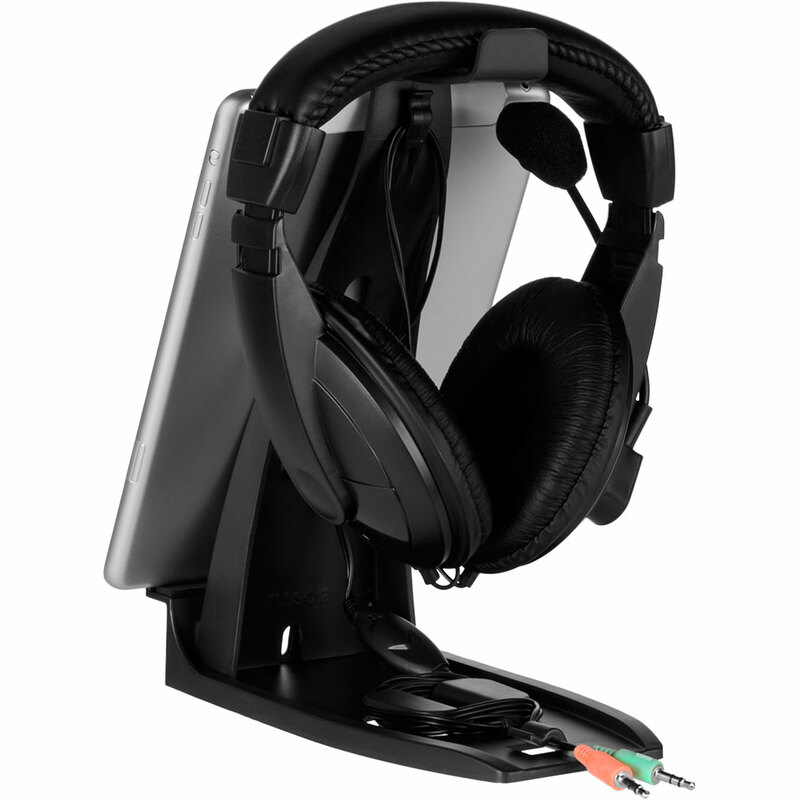 The stand features anti-scratch pads on the base and pads for both your tablet and headset, so you’ll be protecting your gear and your work surface at the same time. 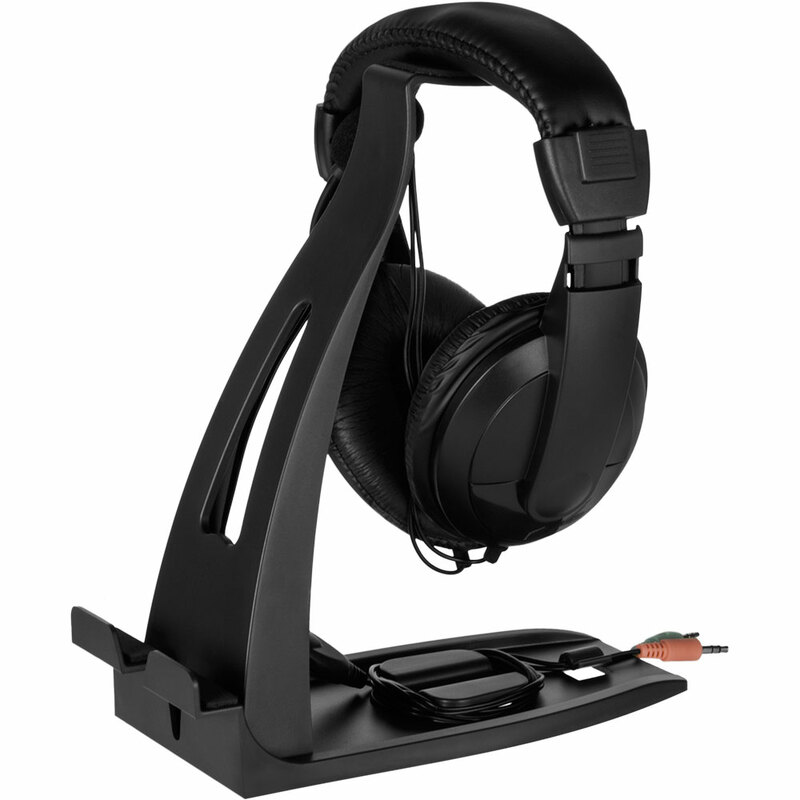 What size headphone can the Headset Hanger accommodate? 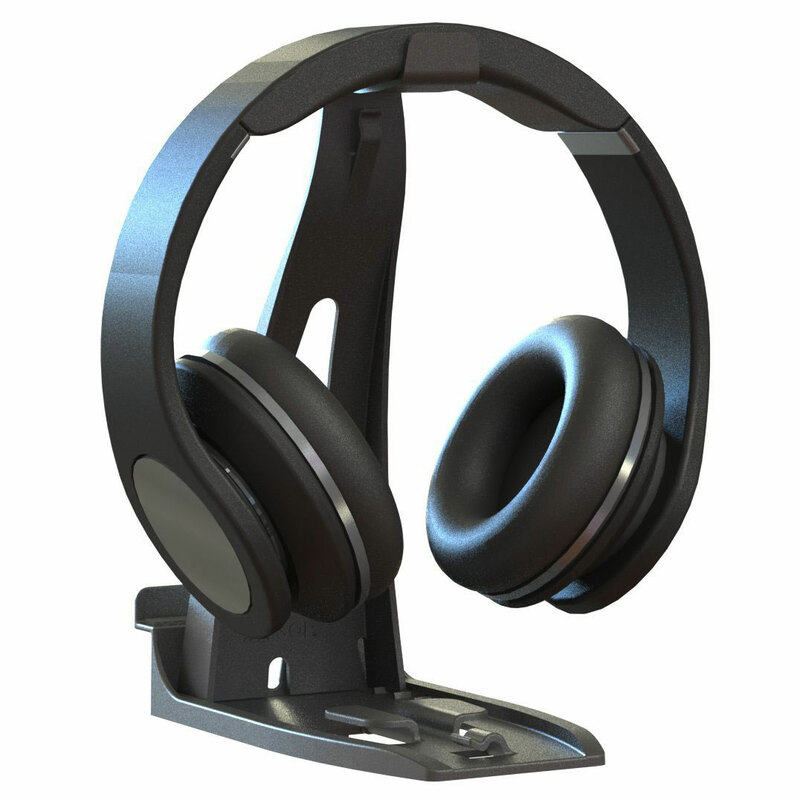 A variety of over-ear headphones will fit the Headset Hanger.